The Shining series is a long-running series of games, developed by Sega, that has been around since 1991. Despite it being around for quite some time, I unfortunately never had the chance to play the games though I am somewhat familiar with the titles, mainly due to the beautiful art and character designs. 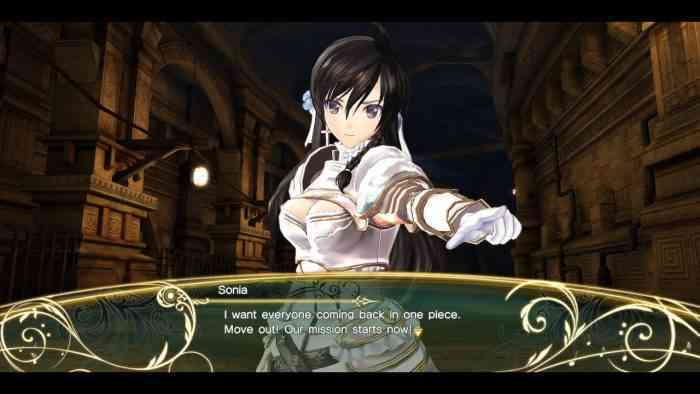 When the original Shining Resonance game came out in 2014, I had desperately hoped there would be an English release as I was enthralled with the fantasy-themed setting and of course, the dragons! While time went on and we never got that release, here we are four years later with Shining Resonance Refrain which will be released worldwide. 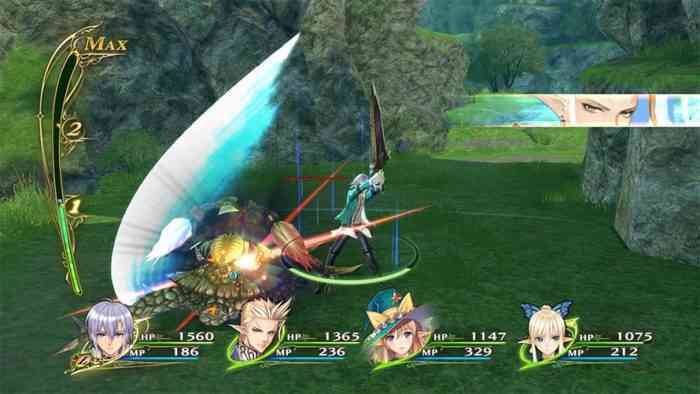 The world of Shining Resonance takes place in Alfheim, an island in the middle of the world abundant with knights, magic, and dragons. Our story begins with a castle raid as Sonia, Princess of Astoria, attempts to save a young and soft-spoken boy named Yuma. After coming together and eventually taking down a dragon, Yuma is taken to the King of Astoria and makes the decision to fight the opposing Kingdom and to save the citizens and bring peace back to Alfheim once more. I’ll admit, the story starts off at a fairly slow pace, but once the other Dragoneers and rest of the party become playable, the story and uniqueness of each character really begin to shine. The combat in this game is pretty simple and has a close likeness in executing combos which is akin to the Tales of games. You have a normal attack button which can be used to form simple combos together. After performing a series of chains, players can initiate a break attack, a unique special move which is exclusive to each character, for even further damage. While attacking, however, you will have to pay attention to the circular gauge that is displayed around your character. This gauge displays how much AP (Action Points) that your character currently has and limits the number of actions that you can take during a certain amount of time. AP can be easily gained simply by running around the terrain without attacking. Unfortunately, unlike the Tales of series, the combo system isn’t quite as seamless and can sometimes feel a bit clunky if you fail to initiate the attack in a certain sequence as well. Not to mention the camera can become a bit unwieldy during combat, which can become a tad frustrating. The one really good positive about the combat system, however, is the fact that every playable character that you can control has a very specific play style. If playing as Yuma and his broadsword isn’t quite what you like, you can always switch to a different character for a whole new combat experience. In all of the Shining games, music has a huge emphasis in the world. As dragons share power with mankind, and mankind provides powers to the dragons, it was only natural that all party members weapons also act as their own instruments. Because of this, players can initiate a B.A.N.D session during battle which provides party members with various benefits such as increased speed, strength or magic, all depending on which character is placed in the center of the performance. There is a lot that can be done in this game if you don’t want to advance the story right away. Players can help the townsfolk in Astoria by taking on and completing various side quests. Players can also go through dungeons using Alfriede’s Grimoire to close Distortions that have opened up around the world. This is a great way to quickly level up your team as it has restrictions players will have to play to. Want more of a challenge? Before beginning a dungeon, you can use monster crests, that is obtained in a number of ways, to add more monsters for more of a challenge. At the end of each day, you will also have the option to speak to characters one on one to romance them and obtain unique traits that can be used in the Bond Diagram. 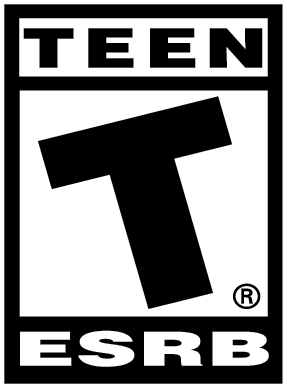 When initially starting a new game, players will notice an option to play Original or Refrain modes. Refrain mode offers an added storyline following Excella and Jinas, who were originally non-playable characters in the original games. As these two characters were extremely popular in Japan, players who have played the original game can now follow a new arc of these two characters. As Refrain mode adds an additional story to the game, it is highly recommended for new players to first complete the game’s Original mode when going beginning your first playthrough. As I played this game on the Nintendo Switch, I played this both docked and handheld and I have to say, I can’t decide which I liked better. While docked, Shining Resonance Refrain plays at a smooth 1080p and while this game certainly doesn’t add any benchmarks in terms of graphics, as a very stylistic JRPG, it actually is really quite pretty. Now when playing the game in handheld form, it was a whole different experience for me. While the frame rate and graphics were scaled down for the smaller screen, I found that being able to play such a great looking game in my hands was just so much more fun. The only real problem I encountered while playing handheld was that there were some lag issues that didn’t seem to appear while playing it docked. Sometimes undergoing a fairly long gaming session, the once seamless transition from field map to battle would stutter a bit, not to mention when performing a special attack, a cutscene animation of Yuma gathering energy also stutters a bit at the beginning. Luckily it’s not a problem that bothers me too much, however. Shining Resonance Refrain plays like a pretty standard yet extremely solid JRPG. Despite the slow beginning, the story is interesting and extremely well thought out. The characters are likable and the graphics are beautiful. And it has a good combat system that’s easy to pick up and yet varied enough to keep the player’s attention along with a whole new added story with Refrain mode. It’s a great way to reintroduce fans of the genre to a series that has been around since 1991. Not to mention as this is a remaster of the original PS3 game, it comes with all the DLC outfits ready to be used at any time during the game (and there are a lot of swimsuits!). 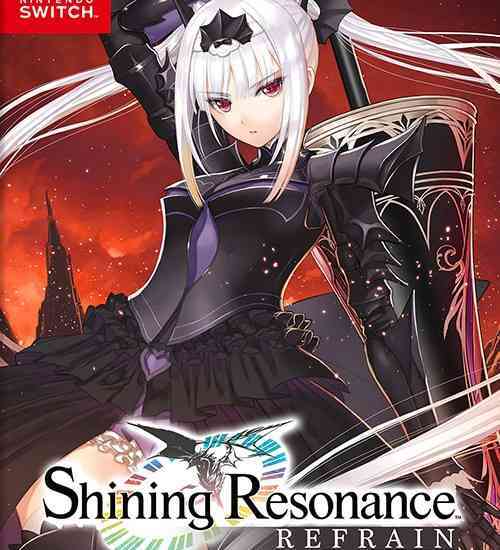 All in all, Shining Resonance Refrain is a game that would make a great addition to your gaming library for any longtime fans of the genre and series.